One of the most effective vehicles for marketing a product or service from your blog, is email. Email is a fantastic medium which you can use to offer your services to your target audience or potentially get your email subscribers to do the marketing for you by forwarding your emails to their friends or other like-minded people. This article has one section on autoresponder service. If you are not using an autoresponder service already then the what is an autoresponder and why use an autoresponder article should help you get up-to speed. Below are 5 important things you should consider if you want to be effective with email marketing. Before we go on I want to define what list building means. A list is a term that most Internet Marketers use to refer to the collection of email addresses which have been voluntarily obtained from subscribers. Therefore “list building” refers to the process of collecting email addresses from people visiting your blog. There are a lot of products out there (some of which are quite expensive) which teach the art of list building as it applies to Internet Marketing. But in actuality, it simply boils down to getting traffic to your site and having some good content to offer your visitors. If you’re not new to blogging or the Internet then you will be aware that getting traffic to your site can require a bit of effort and time and a discussion about the techniques of how to increase traffic to your site is out of the scope of this article. Free traffic is the organic traffic which usually comes from search engines such as Google. This normally requires some level of Search Engine Optimization (SEO) or time and regular creation of good content. Another effective method to get free traffic is to use guest posting as a catalyst to drive people to your site and eventually to your email list. Social media such as Facebook, twitter, etc, is also a powerful medium to get visitors to your blog. Good content combined with social media is a great method to get “free” traffic. Send the people who click on your Adword ad to a landing page which has an opt-in form. Sending people to your blog homepage is not recommended because you really need to keep your message focused with a clear call to action. The landing page should be personable and have something of value to offer to the visitor. For example you could be offering a free online email course via your landing page. Tests done by online PPC marketing gurus such as Perry Marshall have shown that when comparing the conversion rate of traffic sent via PPC to an email “opt-in” page versus a straight out sales page with no opt-in, the opt-in method outperformed the non opt-in method by far. Irrespective of the method you use to get people to your site, it is crucial that you have some level of free or openly shareable useful content to provide. This will whet the appetites of your readers and it will grab their attention. Then once you’ve got somebody’s attention, you can ask them: “Hey do you want more? 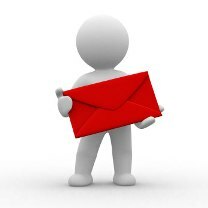 Just give me your email address and I can send you more great material”. “Cookie content” is a term coined by some Internet Marketers to mean that your content is structured in a way that actually trains or guides your readers to do what you are asking them to do. (it’s sort of like training a young child or puppy). In other words if your readers are used to getting material from you which they find useful, they will likely continue to read each of your email messages. In addition, they are also more likely to accept any offers you may give them regarding a paid product or service because they are already fans of your material. For example you could deliver a free e-course which you drip feed to your subscribers in email installments. Alternatively if you don’t like writing then you can just as effectively deliver your content via video or audio which your readers can access via a link in your emails. Or, if you think you are not a talented writer, hire someone to write your content for you. This method provides value but also builds trust. So when you eventually offer a paid product, you will at least not be perceived as pushing a sale onto somebody but instead your readers may very well be appreciative of the offer. Apart from automatically responding to an email, auto-responders are terrific at delivering follow-up messages which can be tailored to suit your needs. For example you could program an auto-responder to deliver a series of say 10 emails in weekly installments which may be a 10 week e-course. The beauty of this is that the auto-responder will send each email in the correct order depending on when somebody joined your list. Auto-responders also allow you to look after your subscribers even when you are away or on holiday. You should choose an auto-responder service which is reputable and has a good relationship with the major email services and is fairly easy to use and reliable. Also always use a service that is robust and flexible and which will allow you to send at least 10 auto-responder messages. There are several options when choosing an autoresponder but three of the best available currently are: Mailchimp, GetResponse and AWeber. So when is the right time to give your subscribers the opportunity to buy something from you? Well if you’re cool about it you can do it from the first message if you wish. For example, you might deliver some very useful free content to your subscribers via email such as an e-course, and at the very end of each lesson you could offer a paid service or product which complements what they’ve already received or provides further value. This keeps it low key and doesn’t force anything upon people. Another good method which helps create an even more targeted audience from your email list is to offer an early-bird opt-in for a course which you will do in the future. This means that the people who are signing up to your future course will most likely be receptive to what you have to offer them. It is also a good way to gauge whether there is enough interest to make it worth your while spending time on the new course. The email is the traditional campaign launch tool. There’s something about the immediacy of the inbox which makes a launch of a product or service or any campaign so much more effective than other methods. To make your launch effective, you ideally want to create a compressed series or sequence of email messages which begins to educate your subscribers about why it is they want what you have to offer them. For instance you could highlight the benefits of the service you’re offering in the lead up or give them case studies etc. This helps make people more receptive to your product. You can also use the sense of urgency to whip up interest and action, eg, “act now because we have only 50 spots”, OR, “we’re closing this offer next week after which the price will go back up to $129”. I hope the above has at least given you some food for thought regarding email marketing. Great information about fundamental of email marketing and link building is most important technique in this . In my opinion these days everybody are already tired of being bombarded with the tons of emails. And you should be extremely attractive as a writer to gain success in email marketing. I will add two additional that must be acquired. First thing “HARD WORK” it is essential and two “PATIENCE” that is the virtue of all the hard work it must be fruitful. Great share admin. Thank you! I think the part of email marketing that is the absolutely hardest is to actually get a high quality email list which you can rely on in a way that makes in easy to make an assumption on who many that actually lead to a sale or equivalent.